Nairobi – The fight against human trafficking in Kenya has taken on a new dimension. This month, plans were announced to set up a hotline that will hasten the response by the local authorities and the Counter Trafficking in Persons (CTiP) Secretariat to reports of trafficking and lead to the arrest of offenders. The hotline will be the first of its kind in Kenya and will build on the existing child abuse helpline currently operated by the department of children and social protection which hosts the CTiP Secretariat. The proposed hotline is the brainchild of the Department of Children’s Services and CTiP, which co-organized a workshop with the Ministry of Labour and Social Protection and IOM, the UN Migration Agency (7-8/11) where the plans were unveiled. The hotline’s operations will largely focus on hotspot districts like Kakamega County, located in Western Kenya, on the border with Uganda. Kakamega is a county of origin and transit for trafficking victims; hence, there is a strong need to create awareness and foster cooperation to address the issue. CTiP Secretariat Chairperson Carren Ogoti said the counties prioritised for National Referral Mechanism (NRM) activities were those that reported a high number of cases in human and child trafficking. “In Kakamega, it is sometimes difficult to prove a case as trafficking. In the rural setting, the incidents reported are thought to be ‘child stealing’ instead of trafficking,” said Benta Ochieng, a participant representing Probation and Aftercare Service. Esther Wasige, the County Children Coordinator from Busia, said traffickers have found new ways of operating, making it hard to track them for prosecution. The workshop thus focused on activating the National Referral Mechanism for assisting victims of human trafficking. It brought together 31 participants (18 male and 13 female). It was part of the Better Migration Management (BMM) Programme which aims to improve migration management in the region, and in particular to address the trafficking and smuggling of migrants within and from the Horn of Africa. BMM is a regional programme funded by the EU Trust Fund for Africa (EUTF) and the German Federal Ministry for Economic Cooperation and Development (BMZ). It is coordinated by the Deutsche Gesellschaft für Internationale Zusammenarbeit (GIZ) and implemented through its partners including IOM, UNODC, Expertise France, Italian Department of Public Security, CIVIPOL and the British Council. Apart from Kenya, BMM is active in Djibouti, Eritrea, Ethiopia, Somalia, Sudan, Uganda and South Sudan. 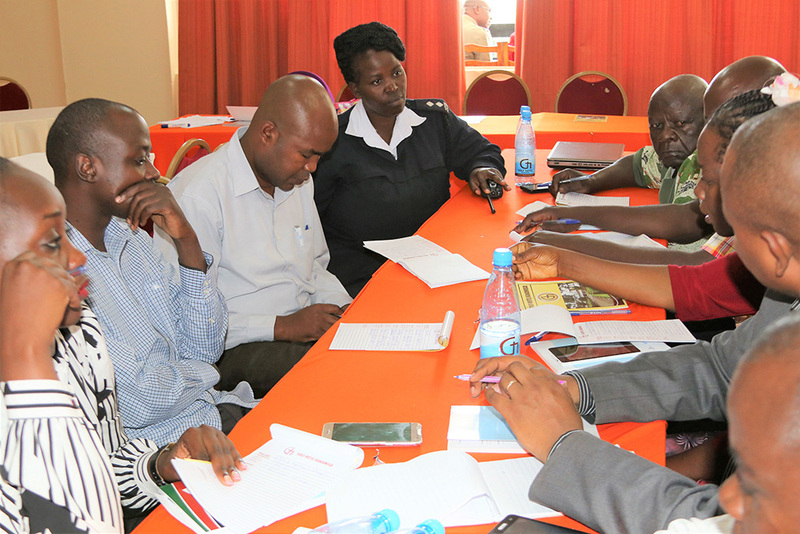 In Kenya, BMM has been actively supporting the government in strengthening its capacities in the implementation of both the National Plan of Action (NPA) on countering human trafficking and the National Referral Mechanism. CTiP has taken steps to put structures in place to counter human trafficking, among them the gradual delegation of more work to the counties in identifying, reporting, assisting and protecting victims of trafficking.